Sold out on 15 December // Tickets Available on 14 December! Subsonica announce to all earthlings that “8”, their new album, will come out on October 12th, 2018 for SONY. Much awaited news that sees Subsonica back together, after 4 years, for a new album of unreleased songs. The updates are not over, as the Turin-based band – that has always had an international influence – will be touring across Europe with “European reBoot 2018” taking place from December, 4th to December 19th, promoted by Vertigo. 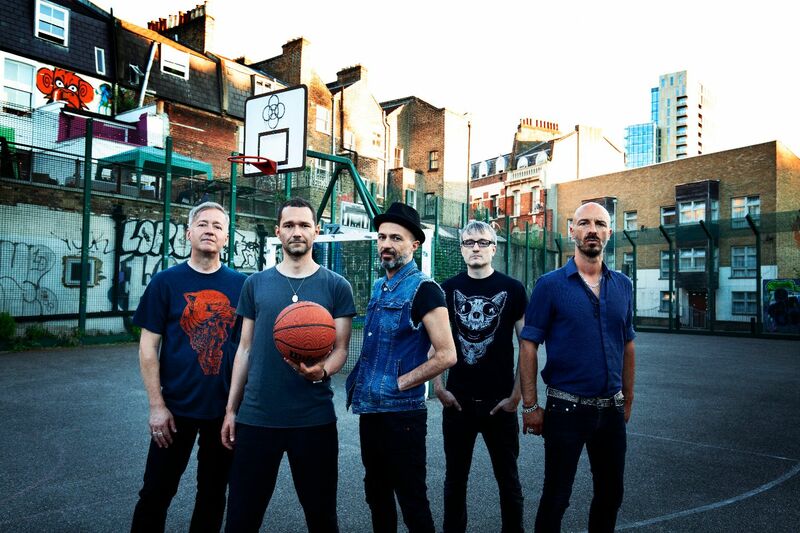 Subsonica will perform live on stages in 9 different cities: Amsterdam, London (where they recently mixed the record, with the up-and-comer Marta Salogni, Björk’s latest album sound engineer), Dublin, Zurich, Paris, Brussels, Cologne, Berlin, Munich. “For over 20 years the geography of our sound is Europe. Now that we are restarting the engines for our eighth trip, we want to start – even ideally – from Europe, a great place that continues to widen and narrow its boundaries. Today our musical Italian essence would have had much fewer elements of confrontation and stimulation if we hadn’t exposed ourselves to the technological and mixed sound of London in the 90s, the German electronic music, the ironic and groovy French funk, the colors of the street parades of Zurich, the unexpected African echoes of the Brussels Matongé right in the heart of Europe, the legendary Amsterdam with the historic Melkveg room and Ireland. It is also a good idea to start again, together once more after a long pause, with the thought of undertaking a real journey. Not just a great series of live concerts”. The announcement, started with a “SUBmessage” from their website and with different countdowns on social networks, has put into play the mathematical qualities of the fans of the band, who for several days have been solving puzzles and codes that make up the eight numbers of the long-awaited release date, which has been finally decoded: 2018/10/12. Subsonica is an Italian electronic rock band born in Turin in 1996 from the union of some exponents of the alternative music scene: Samuel (singer), Max Casacci (producer and guitarist), Boosta (keyboard player), Ninja (drummer), and Pierfunk (bassist), later replaced by Vicio in 1999. During their career, they have released 7 studio albums: “Subsonica” released in 1997, “Microchip Emozionale” in 1999, “Amorematico” (2002), 100.000 copies sold, “Terrestre” in 2005, 110.000 copies sold, “L’eclissi” (2007), “Eden” (2011), certified platinum, “Una nave in una foresta” (2014), platinum record, in addition to the 2008 collection, entitled “Nel vuoto per mano 1997/2007”, platinum certificate. The band, influenced by the most experimental musical languages, has transformed the music scene and created a very recognizable sound, combining electronic sounds with a typically Italian melodic incisiveness. Indeed, Subsonica are unanimously appreciated for the power of their live shows. The band received numerous prizes and awards including: Amnesty Italian Prize, MTV Europe Music Award, Italian Music Prize, Italian Music Award, Grinzate Cavour Prize, TRL Award, and a participation in the Festival di Sanremo. On October 12th, 2018 their eighth album of unpublished songs will be released and a European tour will follow.